Celebrate "the child born in the night" once more. 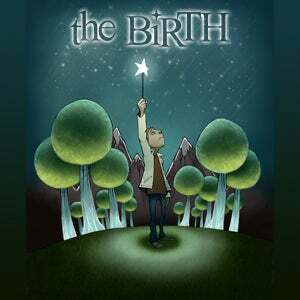 Now in its 12th year, The Birth, as always, seeks even moreso this year to challenge, entertain, stir and inspire this holiday season with a Christmas production like you've never seen before (unless you've seen it before - in which case, come see it again). A perennial Charlotte favorite that was nominated by Creative Loafing for Theater Event of the Year for two years in a row. Created here in Charlotte by Starving Artist Productions, showcasing and inspired by the writings of Frederick Buechner, featuring original music you won't hear anywhere else, The Birth subtly wanders onto sacred ground, and we'd love to take you there with us. Cast talkbacks will take place following the Friday 6:30 and Saturday 8:30 performance. Additionally, a reception will be offered immediately after the talkback following Saturday night’s 8:30 performance, where you can enjoy some Christmas treats and visit with the cast. More information on Starving Artist Productions.